Online education industry is a new niche worldwide and this has opened a new vista of professional skillset up gradation for working professionals specially. India is no exception to this new trend. Statistically since last 5 years online educational industry has excellently bridged the gap between the expectation of employers and capability of employers, working under a specific job responsibility. According to market analysts, online education industry in India is a virgin territory almost where lots of potential can be unveiled. Online education can help in increasing the rate of literacy for the bottom line, and for mid-level or semi senior working level, it is a fresh and legitimate venue for upgrading skillset and way to explore better job prospects and rewarding career. Job market in India is quite volatile presently, and here working people hardly can take the risk to leave their job for further study and to upgrade their official skillset. Therefore joining a B-School is tough for working professionals unless the training and education is sponsored by the employer company. Introduction of online educational method is a great solution for working professionals in improving the bridge between employers’ expectation and employees’ aptitude for applying for a post and retaining a job when skill enhancement is expected. Facility to learn on offshore mode, no need to travel and attend institution at regular course. Online professional courses are done from anywhere of the world so the need for further study never disrupts regular job schedule. Different types of courses are available that helps students to select their most preferred one: some of the most authentic institutions often placement support, which is a further advantage. IIBM Institute of Business Management was established in the year 2008 and this online institute aimed at offering online management courses for working professionals who are planning to enhance their skillset but cannot manage due to their regular jobs and its 9-6 time schedule. The initiative was launched by Vikas Maheshwari and two similar minded visionary entrepreneurs, Ms. Vidhi Rathi and Rajesh Maheshwari. The objective of IIBM India was offering quality management education at moderate cost and with 100% post-study support or empowering Young India in gaining world-class managerial skill. Mr. Vikas Maheshwari could sense the gap between employers’ demand and employees’’ skill, while offering training for working professionals. What he felt that professional up-gradation is the key to achieving professional success in terms of designation as well as from the point of pay package. From the onset of inception, IIBM India kept its focus on practical mode of management courses they offer and probably that is one of the reasons, helped till date students to achieve their professional success. Presently, the institute offers more than 150+ managerial skill improving course and 100% placement assistance that has added extra boost for the recipients who have joined IIBM Institute for improving the credential and marketability of their resume. IIBM Institute India has established a huge alimony network, which includes almost all blue-chip corporates in India. What were once the visions of Mr. Maheshwari, are now empowering India and Indian aspirants in achieving leadership skill for rendering their job related responsibilities with better scale of perfection. Till date IIBM India has groomed thousands of managers and will keep doing the same in the years ahead. Online education is not always a boon, there are some loopholes also. Unless the institution is a reliable one, quality of education can be compromised. Students may not get professional support or sometimes fee structure can be too costly. But online institutions like IIBM India have diminished these apprehensions in air and they are working relentlessly to empower people of India in upgrading their official skillset under a quality conscious online study process. Uniqueness of IIBM India core management is their foresightedness. The institution has rightly blended job related problems together. Quality, cost efficiency, job market related support, and global standard of education are the prime unique selling points of the institution that have helped all its students to excel in their personal aim and career. With the help of IIBM professional support now it is possible to reduce the gap between opportunity and ability: that’s the challenge India now can take in online education niche… all credit goes to Vikas Maheshwari, Rajesh Maheshwari, and Vidhi Rathi. 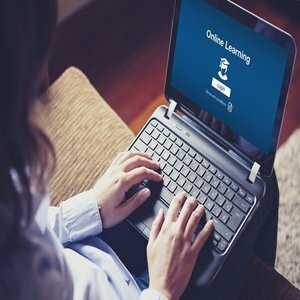 Online education industry is flourishing in India. IIBM India model is being followed by now other entrepreneurs. However, the leadership of this institute is still unquestionable and their progress is steady with an objective of empowering India in professional grooming for managerial courses. The gap between ability and expectation will surely be bridged when IIBM like initiatives will be flourishing all over the country.